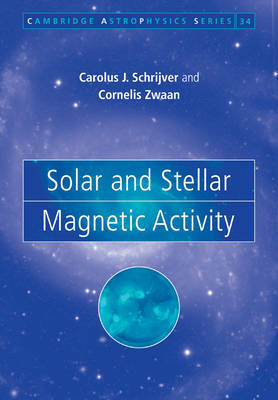 This timely volume provides the first comprehensive review and synthesis of current understanding of magnetic fields in the Sun and similar stars. Magnetic activity results in a wealth of phenomena - including starspots, non-radiatively heated outer atmospheres, activity cycles, deceleration of rotation rates, and even, in close binaries, stellar cannibalism - all of which are covered clearly and authoritatively. This book brings together for the first time recent results in solar studies and stellar studies. The result is an illuminating new view of stellar magnetic activity. Key topics include radiative transfer, convective simulations, dynamo theory, outer-atmospheric heating, stellar winds and angular momentum loss. Researchers are provided with a state-of-the-art review of this exciting field, and the pedagogical style and introductory material make the book an ideal and welcome introduction for graduate students.